Having a rustic or vintage themed wedding or event? 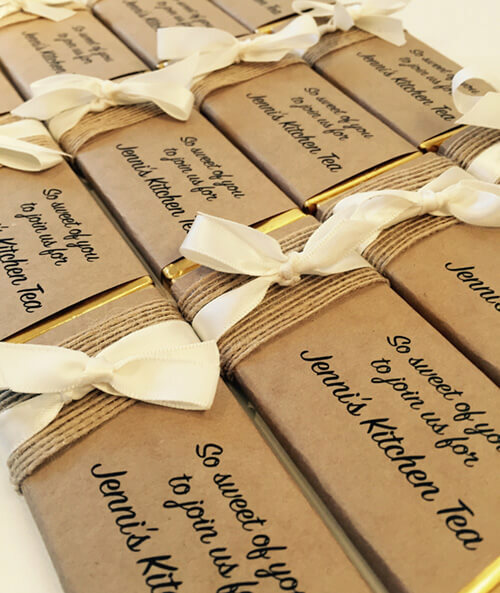 Impress your guests at your next special occasion with Favour Perfect’s Gorgeous Rustic Design Personalised Chocolate Bar Favours. Not only do our personalised chocolates make great favours but they can also double as place cards for only 0.30cents extra per bar! Our personalised chocolate bars are made using only delicious milk chocolate. Each chocolate measures 9.5cm x 4.5cm and are 25 grams each.